I started this blog in 2014 to help anyone who needs to eat gluten-free. Please check out my family-friendly recipes and gluten free desserts if you have time. I would also invite you to comment with the gluten free Costco foods you find. There are tons of readers who have written and shared what they found in their own local Costco stores. I am lucky to have three Costco stores in my area. We have two in San Jose and one in Santa Clara nearby. 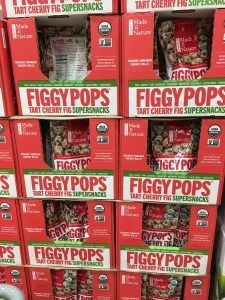 If you are looking for your local Costco, here is a store locator! 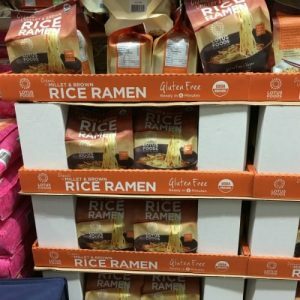 **SCROLL DOWN for a PRINTABLE Costco Gluten-Free Food List!! Take it with you for easy gluten free shopping! Groceries are expensive and gluten free food tends to cost more than other grocery items. 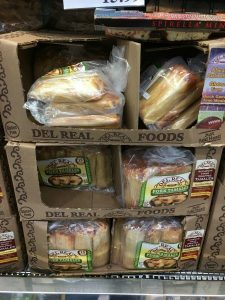 Our family loves to save money buying in bulk at Costco and fortunately, Costco has a great selection of gluten-free products for us to choose from. 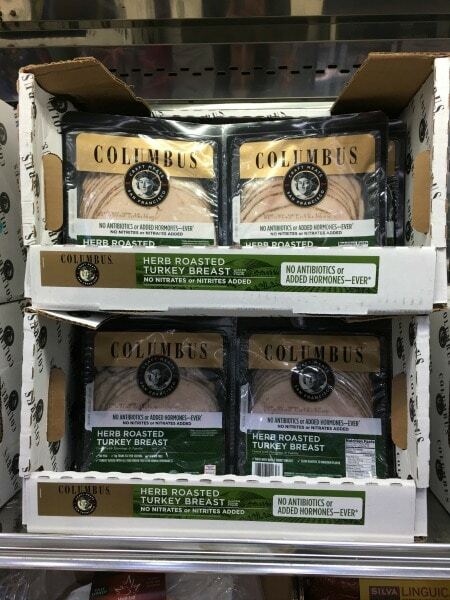 Products will vary from store to store (even within the same city) and below are the gluten free products available in our area that could be available in yours too. 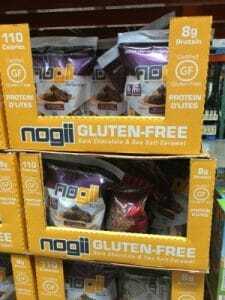 If you spy something gluten free at your Costco, please leave a comment and let us all know. *I have some tips on preparing gluten free pasta and recipes that you can read, here are more yummy Gluten Free Pasta Recipes to try. 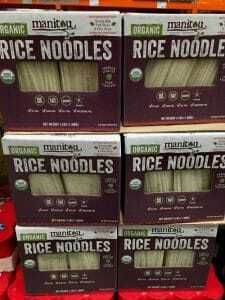 These Organic Manitou Rice Noodles are new at Costco and are perfect for making Asian dishes! Give it a try in this easy Gluten Free Beef and Broccoli recipe. 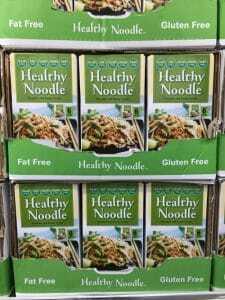 I bought these Healthy Noodle noodles to try. My kids HATED them. These are supposed to be fat free, zero carb…let me know what you think! Rice Ramen. This is NEW at my Costco in San Jose, CA. I love that there is a gluten-free ramen option. 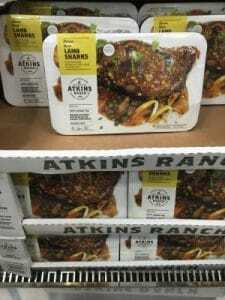 Has anyone seen this in their local Costco yet? You can try my recipe for Gluten Free Ramen, there is even a video to show you how to make it. 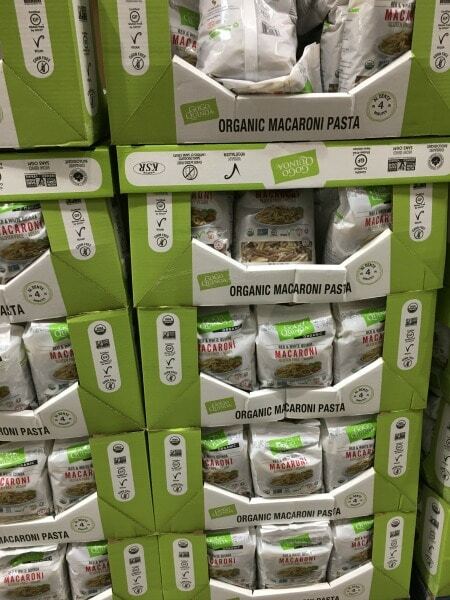 Go Go Quinoa Organic Macaroni Pasta…I didn’t buy this gluten free pasta. I am wondering if this gluten-free quinoa pasta will stay a la dente. 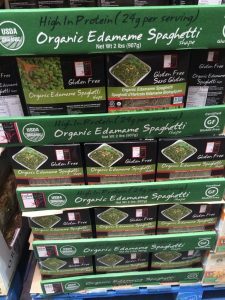 Has anyone tried this new gluten free Costco pasta? Hodo Soy has become pretty popular here in the Bay Area. They are local and sell in some of the farmer’s markets. Their flavored refrigerated tofu meals are healthy and delicious! They were sampling the gluten free tofu entres in our store the last time I was there. There are lots of gluten free snacks on my blog that you can make at home. Let me know what you try :-). 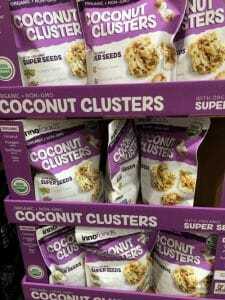 These Coconut Clusters at Costco are crazy addictive so consider yourself warned. I ate a good portion of the bag driving home. Just watch the chia seeds, they can get stuck in your teeth. Nature’s Own has a new gluten free granola. 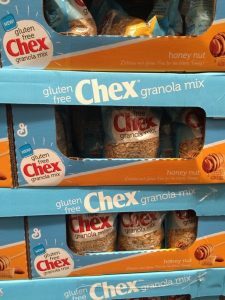 I haven’t tried this brand, but if you love granola…let me know what you think. You can also make homemade granola in just minutes with this easy Cinnamon Granola recipe. Here is a new gluten free protein bar from Ella. 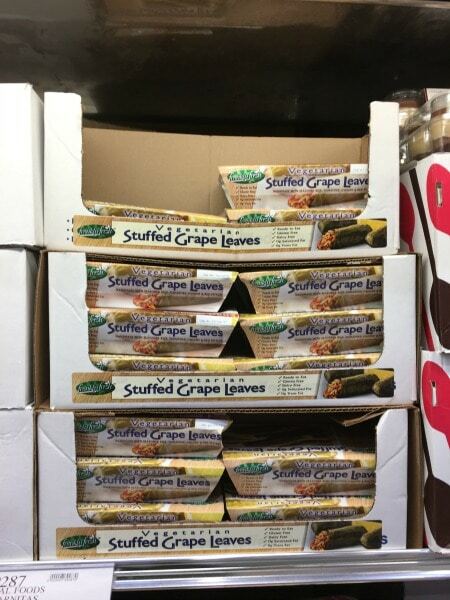 These are in the refrigerated section of Costco so they aren’t in the usual place. I am going to buy these and I will let you know what we think. I suspect these gluten free bars will be good in a school lunchbox! Brand new at our Costco. 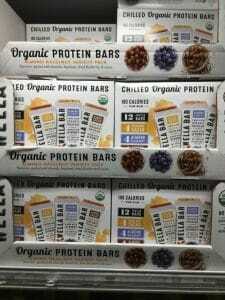 Have you tried these Organic Protein Bars from Square Organics? 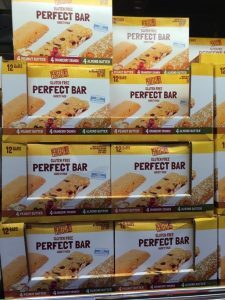 Update, I tried these protein bars! They come in mint, coconut, peanut butter and chocolate. My whole family loved them. 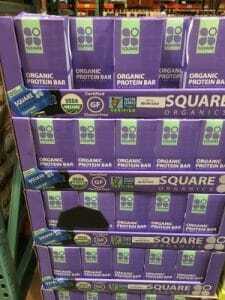 These Square Organics protein bars are perfect in a school lunch box! Another new item this month! I did buy these protein bars and I really like them. They are the perfect pick me up in the afternoon. These protein bars are chocolate coated and taste like a candy bar. 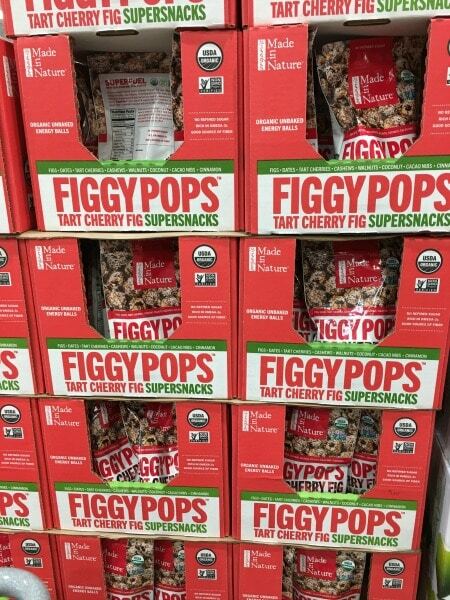 Another NEW product, Figgy Pops. These are little energy bites. Has anyone tried this gluten free product? ProBar Fuel. 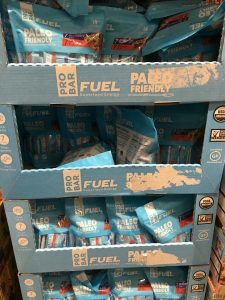 This is a paleo friendly sports bar. I picked up a bag to try on bike rides to see if it gives me a boost. The people that invented Made Good Granola Bites is just genius. This product has tons of hidden veggies inside, and they taste like granola cookies. Your kids will have no idea these are healthy!! The Perfect Bar. These are by far our family’s favorite gluten free protein bars. (They have to be refrigerated because they have egg white protein.) 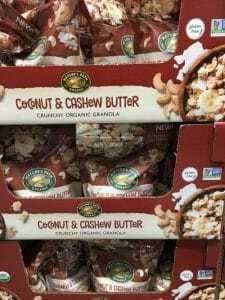 They come in Peanut Butter, Almond Butter, and a fun Cranberry Rice Puffy Crisp. Still here in 2017!! Gluten Free Chex Granola Mix. Our Costco had this for a few months, then it was gone. It was fun to sprinkle in yogurt. This is no longer at our Costco as of February 2017. 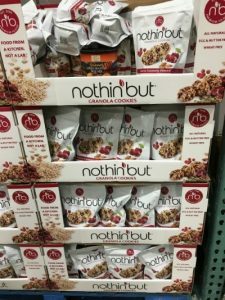 Is this gluten free granola at your Costco? 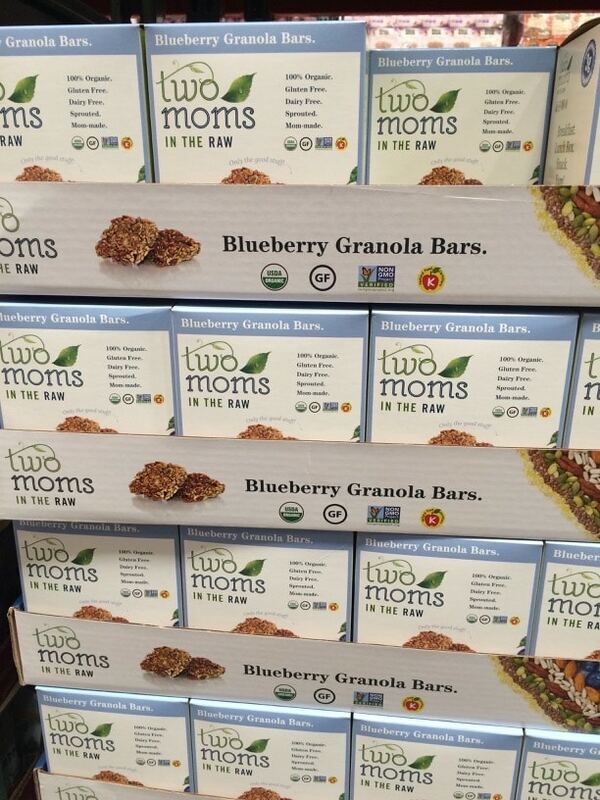 Two Moms in the Raw granola bars. 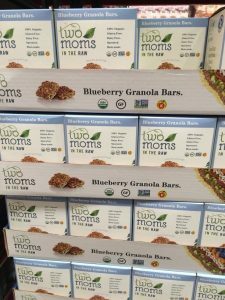 Our Costco gets a few different products by Two Moms in the Raw…it seems to alternate what they have each month. 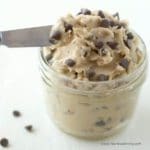 Click here to view my gluten free cookie and gluten free dessert bar recipes. 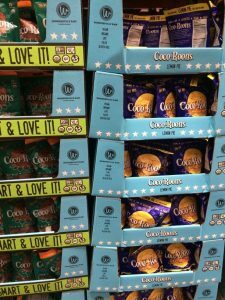 This new lemon coconut cookie at Costco is really good. They are super thin, so they have fewer calories. 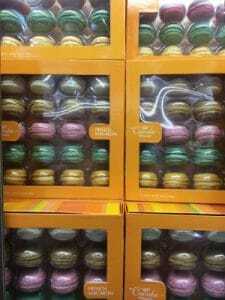 If you love a French Macaron, pick a box of these Cocola Macarons up. They are sooo good! I love that Walkers Shortbread is now available in a gluten free option. These are delish! 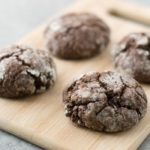 Certified Gluten Free Coco-Roons Cookies. These raw treats are healthy and delicious. My kids love the lemon flavor best. 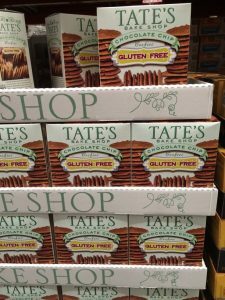 Tate’s Gluten Free Cookies. These are a great cookie. I also think Tate’s makes these under the Trader Joe’s label as well. 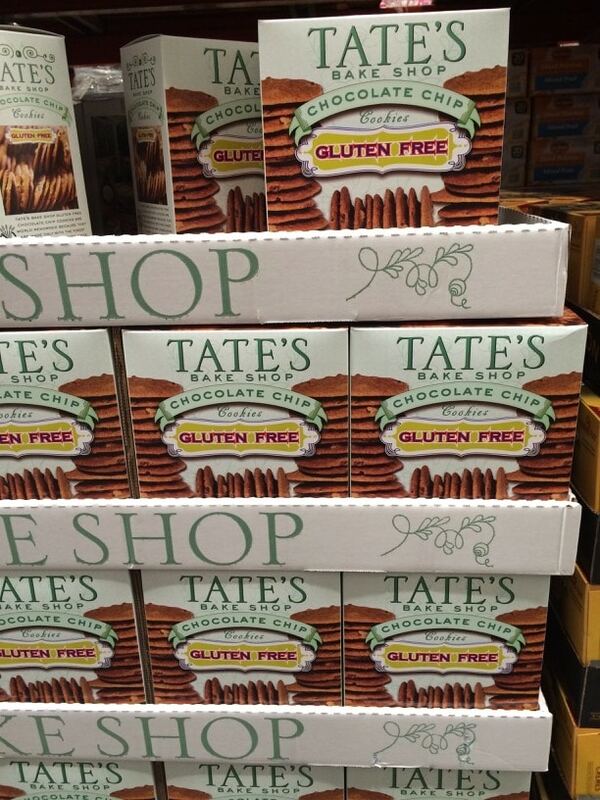 Our Costco is sold out of these Tate’s Gluten Free Cookies, but you CAN find these under Trader Joe’s private label. Nothinbut Granola Cookies. These gluten free cookies look like they would be great for a school lunch box. These prepared meals definitely save you time in the kitchen. If you have some time to cook, here are some awesome meal recipes, many of which are ready in under 30 minutes. 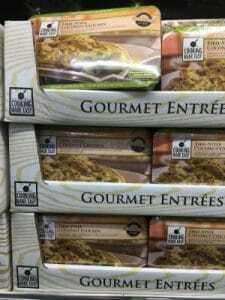 LOTS of new gluten free prepared meals at our Costco this month!! 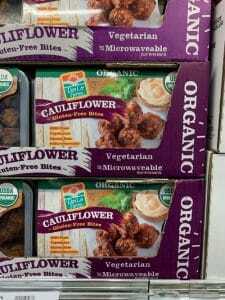 I bet these new Organic Cauliflower Bites would make a great appetizer for game day, or any get together. I will pick these up and see how my kids like them. Here are even more appetizer recipes if you prefer to make your own! 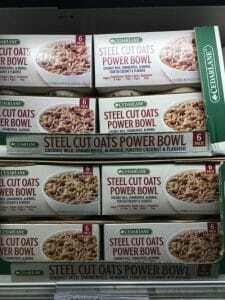 These steel cut oats by Cedar Lane would make a great quick and easy gluten free breakfast. 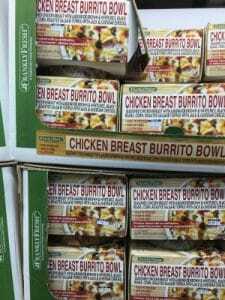 Here is a new soup at Costco. It is by Biount and it is a Chicken Ginseng Soup…look for it in the refrigerated section. Another good soup for lunch! 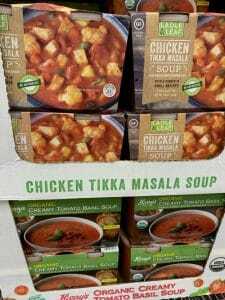 This organic Chicken Tikka Masala Soup looks good. It is also in the refrigerated section. I bought this gluten free Thai Coconut Chicken Dinner, but we haven’t tried it yet. It looks really good so I will keep you posted how it tasted. 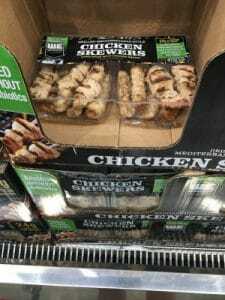 These gluten free Chicken Skewers look really good for feeding a crowd. A new gluten free meatless burger. Very few vegan burgers are gluten free so I was excited to see this. Another new product…I was very tempted to pick a box of these up. Has anyone tried these yet? I bought these to try out. My teens loved them…I was a little less enthused. This cranberry almond chicken salad by GoodFoods looks healthy and delicious. A few readers commented below if you want to know if this is good. 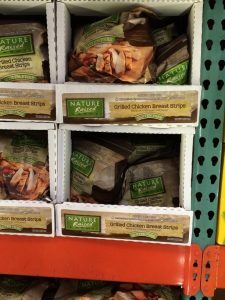 I have received so many reader comments about this gluten free chicken salad at Costco. Half of you like this, and half of you don’t. What do you think? Hodo Soy also makes a gluten free tofu burger. 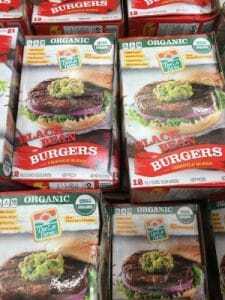 Most meatless burgers have wheat so these are a great option if you want to have a vegetarian option. If you want an option that isn’t vegetarian, click here to try my Grilled Lamb with Leeks and Fennel recipe. Del Real Foods made delicious tamales that are gluten free. This is worth picking up if you need quick meal options. Watch the sodium content though, I was surprised. 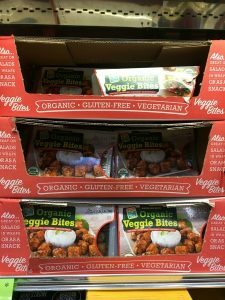 Organic Veggie Bites are a kid-friendly healthy snack. Has anyone tried these? 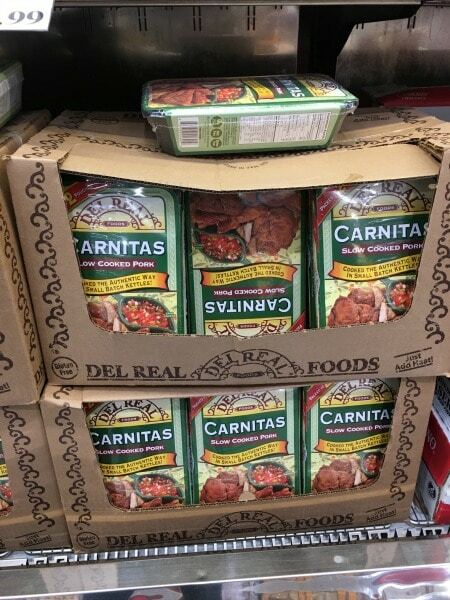 Another gluten free product from Del Real…Gluten Free Carnitas. These are perfect in tortillas. Stuffed Grape Leaves. I LOVE Mediterranean foods, has anyone tried these yet? Sukhi’s Curry Meals. 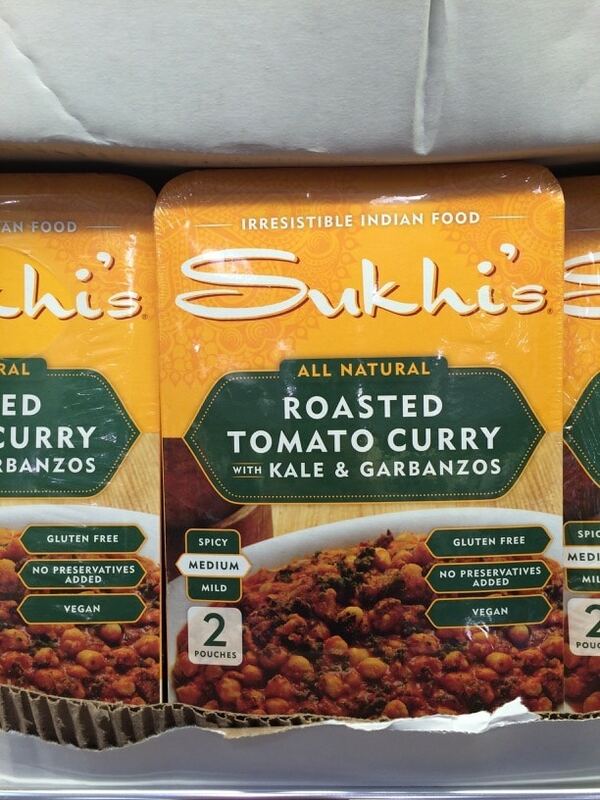 I haven’t tried these prepared meals, but we have tried several of their jarred Indian sauces by the same company. My kids prefer the mild flavors so I don’t buy the spicier sauces often. My Costco still carries these as of February 2017. 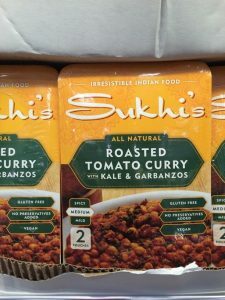 Sukhi’s is all gluten free, they were sampling their foods at our local Costco and I think I liked all of their meals. Stuffed Chicken by Vicky’s Kitchen. I haven’t tried this but it is certified gluten free. Fill in a comment below if you have tried these so other readers will know if these are worth purchasing! I didn’t see this one last week. Did you try it? Costco has a huge assortment of meats that are gluten free, including a lot of organic gluten free chicken, beef, and pork. As they are raw and un-marinaded, they are all naturally gluten free. Also, the Costco Rotisserie chickens are also gluten free!! 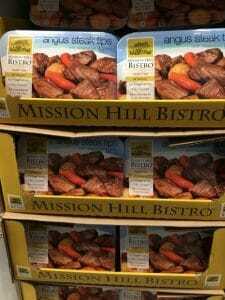 These angus steak tips by Mission Hill Bistro look like a great dinner if you need dinner in a hurry. Please let us know if you get a chance to try them. If you have a slow cooker, you may want to make this easy Pot Roast recipe. It has only 5 simple ingredients and can cook all day while you are at work. Certified gluten free sausage by Silva. 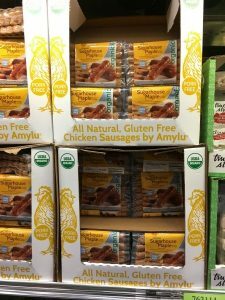 My son loved this gluten free chicken sausage. 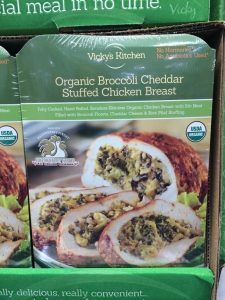 It is organic and makes an amazing easy lunch. Sugarhouse Maple Chicken Sausage are so good for breakfast. Have you tried these gluten free sausages from Costco? Oscar Meyer is touting its gluten free turkey breast deli meat. 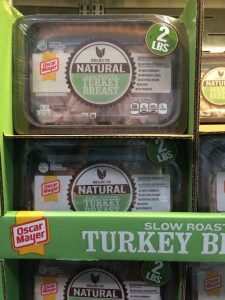 This is good and my kids like to have this turkey sandwich meat in their lunchboxes. Still at Costco in February 2017. 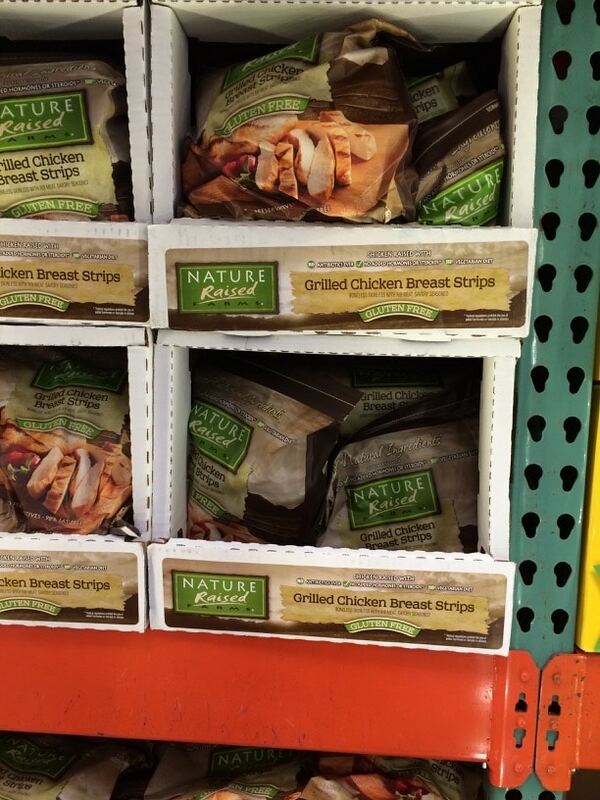 Nature Raised Grilled Gluten Free Chicken Strips. These are really good and I find they are perfect for dinner in a hurry by making chicken tacos out of them. I loved these but unfortunately, our Costco sold out of these quickly :-(. Does anyone’s local Costco have these still? I so miss these convenient chicken strips! 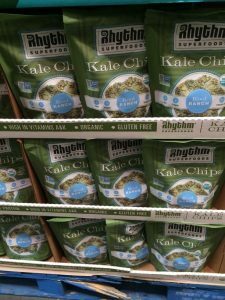 If you love chips…Costco has quite a few gluten free options to try! 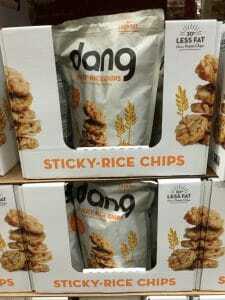 Dang is making a sticky rice chip…I haven’t tried it yet but it definitely looks interesting. We all know kale is good for us. 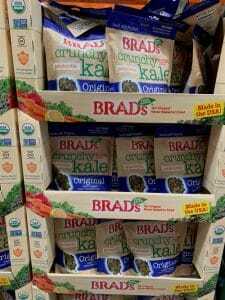 These kale chips by Brad’s may be a great way to get our kids to like it too. Let me know what you think! If you want to get your kids to eat fresh kale, give this Kale and Apple Salad recipe a try. My kids will eat kale raw, but not cooked. 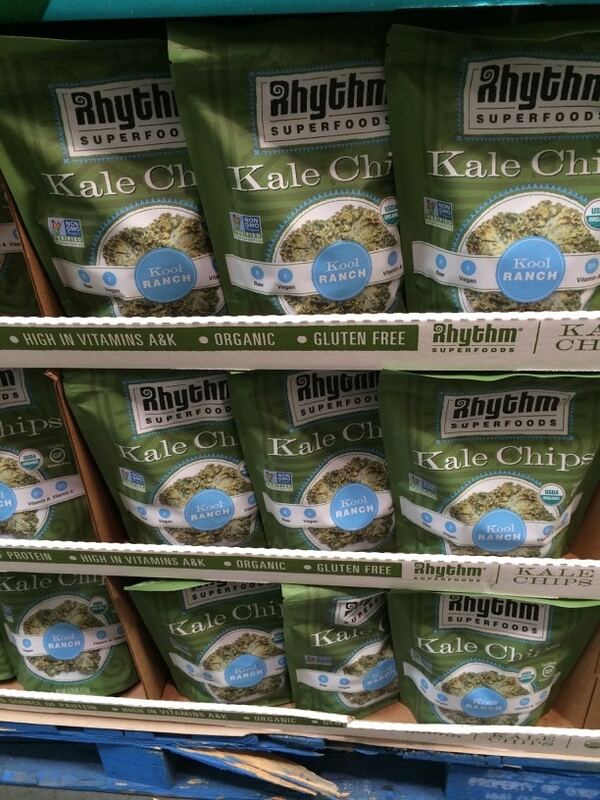 Rhythms Kale Chips in cool ranch. 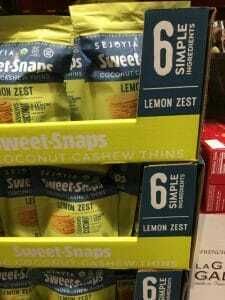 I tried these at the San Francisco Fancy Foods Show and really liked them. I could almost get my daughter to eat these :-). Still at Costco 2017. 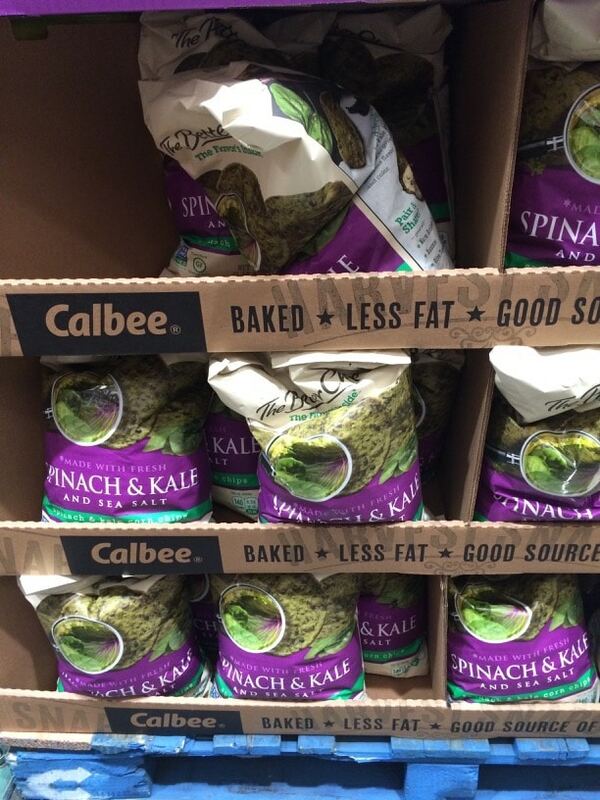 Calbee Spinach and Kale Corn Chips. My kids wouldn’t touch this but it was really good dipped in hummus. These were not in our local Costco in February 2017. I probably should have this section at the top of the post, you know I am all about gluten free desserts!! 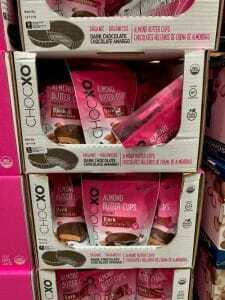 !hese new almond butter chocolate cups by Chocxo are really good. Perfect if you have to avoid peanuts! These chocolate cups are also certified gluten free! NEW! 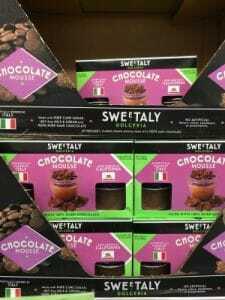 This chocolate mousse from Sweetaly was very tempting. Has anyone tried it yet? I have yet to make a homemade chocolate mousse, but I have made a Raspberry Mousse get gets rave reviews. Harry’s Organic Tapioca Pudding is gluten free and makes a nice snack or dessert. If you are looking for something sweet, click here to view my gluten free dessert recipes. I have tried several of Popcornopolis flavors, this Kettle Corn is definitely my favorite. This gluten free smoothie mix by Essential Living Foods is new. Has anyone tried this yet? 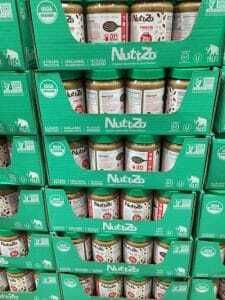 There is a new peanut-free peanut butter by NuttZo. 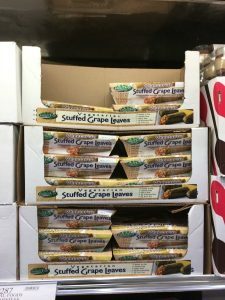 It is filled with nuts and seeds and has a crunchy texture. 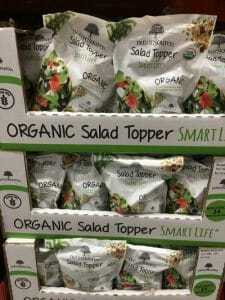 If you like salad toppers, this new organic salad topper is gluten free too! 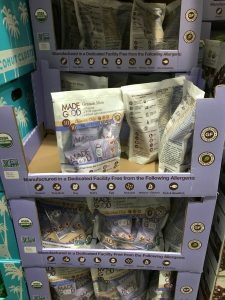 Again, if you spy something gluten free at your Costco, please leave a comment and let us all know. It is so helpful to all of us! Don’t forget to print my handy shopping list! 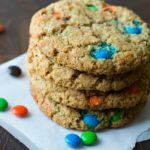 Here are Some of My Most Popular Gluten Free Cookie Recipes to Check Out! Three Bridges egg bites. Love them! I haven’t seen those Shanda…thank you so much for writing in :-). On Feb 1 2019, I asked the fellow at Costco in Elk Grove when he was putting out rotissarie chickens if they were gluten free. I was told they were NOT. I left the store very disappointed. That is so strange. Our store said they are gluten free. Maybe it is regional? Thank you so much Beth! Glad to help. Wow! I’ve seen some of those products at my Costco, but it certainly is nice to know that there are so many GF options at Costco. This was super helpful, thank you! Wow, Sandi, what a fantastic resource! 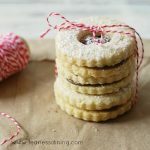 Sharing all over for my gluten-free friends! Do you know of the costco stuffed bell peppers are gluten free? Hi Dina, I haven’t seen those at our local Costco. Perhaps asking the store manager if he can find out for you? Please do come back and let us know what you find. What a great resource to refer to if you’re looking for gluten free foods, as I can appreciate it’s not as straightforward as you might think it should be. I am not gluten free but I do enjoy shopping at Costco they have so much stuff and variety on the products sold. Appreciate you reminding me as I need ot go back and shop again soon. Such a comprehensive and informative post. Thank you for compiling! Costco can be very overwhelming, so it’s great to have a Game Plan before going in. So cool that they have so many gluten free options! Who ever knew that there were so many gluten free options? It’s really amazing how far gluten free product have come. I love Costco! So many great gf items! Hi! Do you know if the house made rotisserie chicken salad is gluten free? Hi Diane, I am not sure about the salad. I do know their chicken is gluten free. You would need to ask the store. Please let us know what you discover :-). I am so thrilled that the Lotus Foods Ramen Noodles are back at Costco! They had been off the shelves for over a year and I was in mourning! They are a miracle go to item for me. I hope that they never do away with them again. When I get to the point that I am too tired to cook anything elaborate they make it possible to have an amazing meal with out waiting forever for the noodles to cook. It drives me crazy when I find something awesome at Costco, then it goes away. Glad the noodles are back in your store! Do you know if the Kirkland Signature Nut Bars contain gluten? I do not see any gluten containing ingredients in the ingredient list and under allergens it doesn’t list wheat. Thank you! Hi Susan, I am not sure. Does it mention if it was manufactured on shared equipment? I haven’t seen that product. Perhaps the store manager could look it up? Hi Ashley, I am not sure. I don’t see gluten anywhere on the label either. You may want to ask at your store to see if they can find out. Please come back and let us know. I called Costco today and they are gluten free but not certified gluten free. Thank you so much for coming back to let us know Ashley. I shop at Costco Canada which they had more Gluten Free flour. That is great that they have other gluten free flours Sandra! Our Costco only occasionally caries any lately. before we settle down somewhere, in our Supermarkets it’s such a drag to shop for GF products. Great blog Sandi thanks ! I can’t see the printable list of the items that are GF at costco… Help, please. Hi Lilia, you should be able to go to the link that says shopping list. (It isn’t a graphic, just a line in the upper 1/4 of the post. I hope this helps. Hi Colleen, I am not 100% sure if it is gluten free. I will say I buy it once a month and we don’t react to it. Perhaps the store manager can be check? Have a wonderful holiday. Is Kirkland signature basil pesto gluten free? Hi Debi, I am not sure. I haven’t seen it in the store nearby. I suggest calling the company. They are very good at letting us know what is gluten free. I am thinking about hosting Christmas Eve for the family this year. 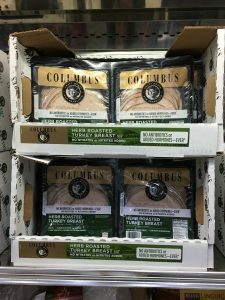 Was wondering if anyone knows if the spiral ham they have around the holidays is gluten free? Thanks for the help. Just to let you know that the Lotus Foods Millet & Brown Rice Ramen is no longer available through Costco. I had my husband look for some for me just yesterday in our local Costco. He asked two different associates about the product and they finally asked the manager. 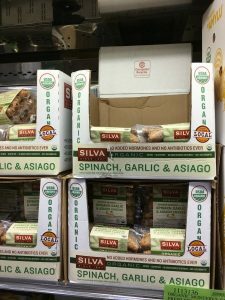 If you check the Costco.com site there are no Lotus Foods available at all anywhere in the system. I did notice that the product is available through Walmart.com but not in the local stores. I love this product as I have a hard time finding things that I am not allergic to. I am gluten sensitive, mammal sensitive, allergic to most fruits, all night shade foods, avacodos, all melons and deathly allergic to shrimp. Cottonseed oil makes my fibromyalgia go crazy. Nothing makes me hurt worse than the cottonseed oil. Thanks for sharing your knowledge! That is a bummer, it was nice to get those big bags of ramen. 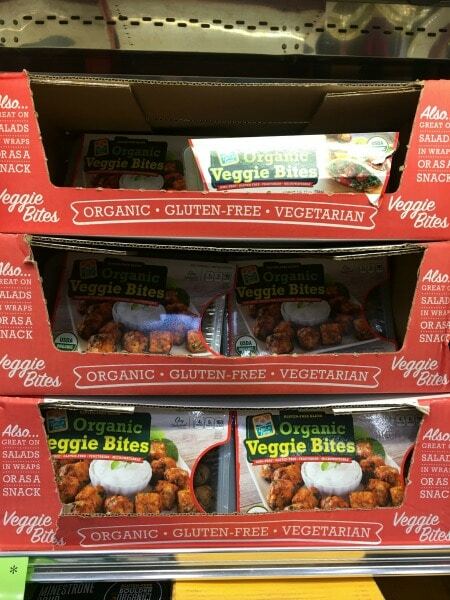 I have seen individual packets at Sprout Market and Walmart locally here in the Bay Area. Thanks for letting us know. Our Costco didn’t have teriyaki so I didn’t think to mention that. Great find! I bought some turkey meatballs from Costco that have a gluten free label on them. I haven’t cooked them yet. Hi Debu, I am not sure if it is. Did you look at the ingredient list? I hope to visit Costco in the next week or two and I will look to see if I can tell. Thank you so much! I’ve never had a problem with the spinach salad. None of the ingredients contained gluten. I just subscribed to your blog. Thank you very much for putting it together. Shopping for a picky 7 year old daughter with celiac disease is hard enough. 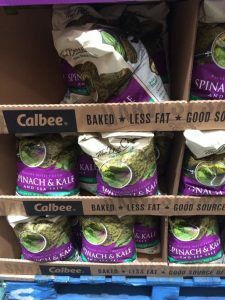 I have a question about Costco, my daughter loves their roasted seaweed, but I can’t find it listed anywhere as gluten free. It’s ingredients don’t show any gluten containing products but I hate to take any chances. Do you have any information on it. Oh my gosh, the note you typed to me is so much like my daughter. She is picky and LOVES that seaweed too. I am not sure, but I can say my Celiac daughter eats a lot of the seaweed and hasn’t reacted. You could also call your Costco and ask. I find Costco if you can get a human, is very good at finding out about gluten-free. My daughter is still really picky, please don’t hesitate to contact me at sandi@fearlessdining.com if you ever have any questions about kid-friendly food or recipes. Thank you for subscribing. So where is the printable list that it keeps saying is at the bottom of this column. I don’t see it anywhere, and I’ve scrolled up and down three times. Oh, and are those egg white quiche at Costco gluten-free? My Dad has been GF for years now. He recently found the KIND nut bars from Costco. They are sooo good! 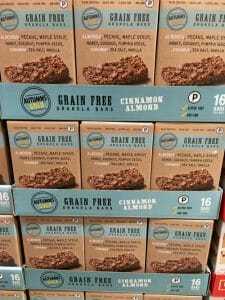 Something that is easy to throw in a bag now that traditional granola bars are not a choice anymore. 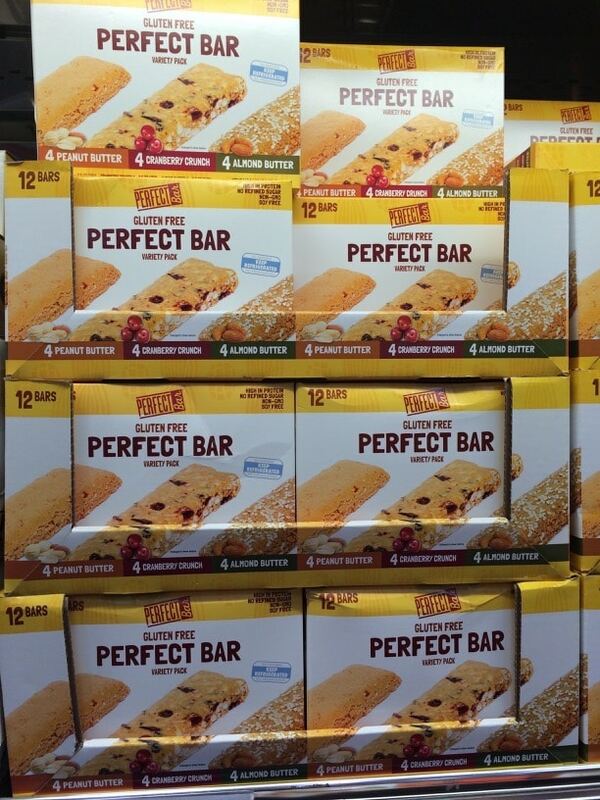 Our whole family loves Kind bars. Thank you so much for writing about your find Leslie :-). I picked up a few others that are not on the list that you showed. These are found in Phoenix AZ. Wow Monica. The link you attached doesn’t work with blog comments so I would love to know what fun gluten free foods you found. Costco currently has an uncurred hot dog that they demo’d today. Gf – dairy free and tasty!! Coleman Premium Foods. I have issues with gluten, dairy and the too much salt- (salt bliws my ankles up but I love hot dogs on occasion). ! It only has 340 mgs soduum per link. No antibiotics and cane sugar. Wow Sheryl, I would definitely prefer an uncured hot dog. Thank you so much for your note to let us know! The Cranberry Chicken salad is gf but not good. It’s bad enough that it has temporarily turned me off chicken salad entirely. Thank you for letting us know Laura…I am not going to buy it. I like chicken salad too much to risk turning me off :-). My husband and I both love the cranberry chicken salad, so I was thrilled to find out that it is gluten-free. You might want to try it and judge for yourself. I do not see gluten listed on the regular Kirkland Smoked Salmon. I have had it numerous times without a reaction. That being said, did your daughter eat it on something that could have been cross contaminated? Either the bread (if from a non-gluten free environment), cutting board or cutting knife that could have had gluten on them? 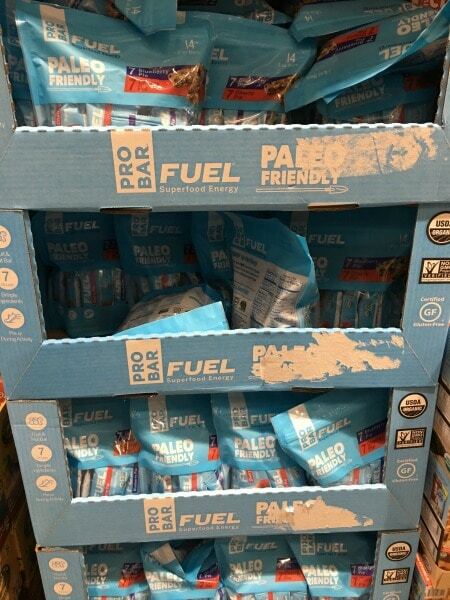 There is a new Paleo inspired bar by a company called Caveman Foods that is quite delicious. A work friend brought them in the other day. There is a Dark Chocolate Cashew Almond bar and a Dark Chocolate Coconut Almond bar. Enjoy! I LOVE those bars Jenifer. I always have them in my purse, they taste so much like Almond Joy candy bars, but so much healthier. I will go see if they are in my Costco, it would be cheaper to buy them there. Thank you!!! Hey there. Regarding kirkland’s deli premade meals. They all may contain wheat and are labelled as much. And you eluded to the fact that most Kirkland made foods are labelled as containing wheat and I completely agree. It’s very frustrating at times as the food looks so good! Our stores here in Alberta only carry one bakery item that is glute free, which is the two pack of Essential bread. The sheet cakes, cookies etc all are labelled as containing wheat. So I end up just walking by the bakery, and most of the deli. Of course they do have meats and cheeses that are gluten free, thank god. I do adore their produce section as everything is so big and yummy! Like the apples, pineapples, carrots etc..In conclusion, I’d have to say that the two favourite GF made foods are the sabasso pizza and a company from British Columbia called Boomchicka pop that makes these big yellow bags of the freshest lightly-est sea salted and sunflower oiled popcorn I’ve ever had. 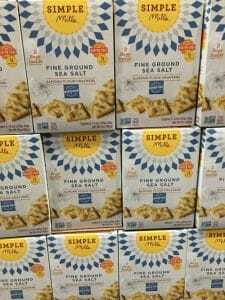 So thank you Sandi for all your work into the gluten free world of Costco! I am a diagnosed celiac since 2010 and had severe damage to my small intestine as a result. A few gastroscopies and biopsies later (AND a gluten free life! )I am now in remission. …naturally as long as I remain gluten free. I am an adamant advocate of NOT diagnosing yourself because you feel a little bloated after eating a sandwich. A true celiac will tell you that 3-5 days after being glutened, you want to die. A simple blood test will “usually” show positive but a biopsy is the only way to see if it is destroying your body. I’m sorry for writing so much! I talk a lot too! Thank you and hope you have a great summer! Mary M.
Do you know if the Kirkland organic mayple syrup is Gluten free? Do you know if the Kirkland chicken stock is no longer gluten free? The packaging use to say it was gluten free. Hi Monica, That is so odd they took off the gluten free wording. I have to head to Costco later this week. I will see what I can find out. Hi Sheena, I haven’t seen those at our Costco stores. I hope someone else chimes in and can help you find these. I think I had those, though I just bought them less than a month ago. They were shaped like small hockey pucks, very dense, chocolate and oatmeal. Does that sound right? We ate them quickly (YUM) and threw out the bag, but I will look next time I go there and report back. Shoot, I can’t post a photo here. Got them again yesterday. They’re by E&Cs—“heavenly hunks” oatmeal dark chocolate gluten-free cookies. Are there any premade meals at costco in the deli section that are gluten free?? Does anyone know if the gf chicken nuggets are discontinued? I really hope not because that is one thing my daughter WILL eat. Hi Jenny, my kids loved those too. I haven’t seen them in a long time at our Costco. Ask the store manager to look them up in their computer next time you are there :-). Let us know…my kids would be psyched it they come back. I just bought some gluten free chicken nuggets on sunday. Does anyone know the brand of the GF pasta that Costco carried? They were rigatoni shape and have stopped carrying it. How about gluten free birthday cakes? Hi Mary. Unfortunately, I have yet to see any gluten free cakes at Costco. Honestly, given how they use their commercial kitchens, I don’t think they would be able to manage cross contamination to keep you safe. I do plan to head to Costco later this week and I will do a double check to see if they have any gluten free cake mixes on hand and report back. Does Costco have gluten free pies for Thanksgiving? 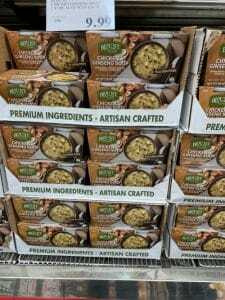 Hi Andrea, I was at Costco yesterday and did not see any pre-made Thanksgiving Day foods that were gluten free. I have been glutened so many times at Sam’s I am going to join Cosco next month. It’s 10 min further each way but I need to do this. I am hoping the raw nuts and also various dried fruits that are naturally GF are not processed on equipment that process wheat, rye or barley. I’m not one for processed foods, so I need frozen fruits, veges, etc that I can count on to be safe. I am looking for gluten free fish burgers. Can be any kind of fish. 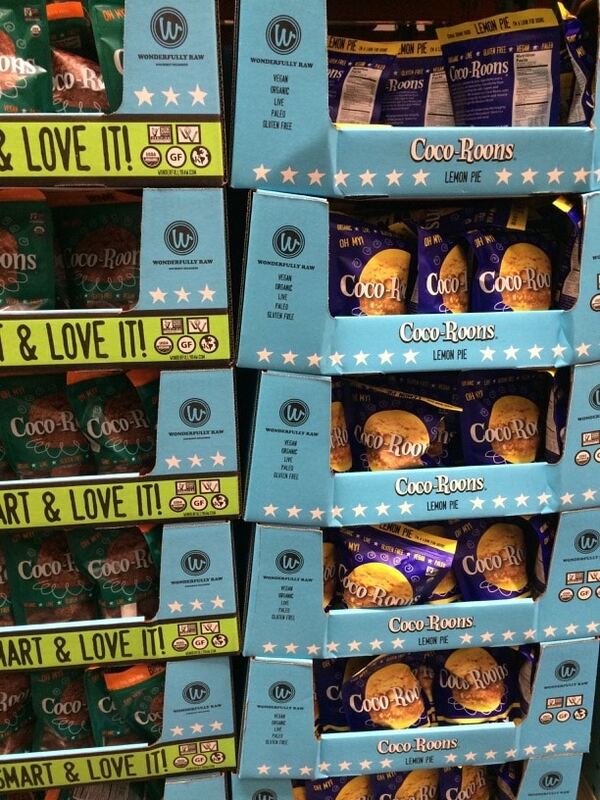 Do you know if Cosco has any? Hi Christine, I haven’t seen any, though they have a lot of fresh fish. They have gluten free salmon patties in frozen section. It’s not always with the fish. Sometimes it’s with the frozen burgers. They will, at times, carry cod patties. Thank you for writing. I haven’t seen these salmon patties, but they sound delicious! Do you happen to know if the kirkland signature brand 1/3lb sirloin patties are gluten free? Hi Laurie, Thanks for your email. I tried to google this information and I can’t find a definitive answer for you. I buy their organic ground beef all fo the time, but I haven’t tried their Kirkland brand. Edamame Spaghetti is awesome!!! So far I’ve had it with pesto and even my 6 year old loved it. I think this is worth investigating. I just had a massive reaction to their new Kirkland vanilla. It does not say gluten free on the label and often the alcohol is made with grains. Oh wow Emily. Thank you so, so much for letting us know so we can avoid that product. I hope you feel better soon.